With knowledge passed down from centuries ago, the presence of traditional crafts such as spoon carving, leather working, and knife making is becoming more and more pronounced in contemporary culture and on platforms such as social media and ecommerce. As the pressures of a fast-paced, modern-day life weigh on people, many seek solace in more manual, artful practices that take us out of our selves and produce something beautiful and useful. 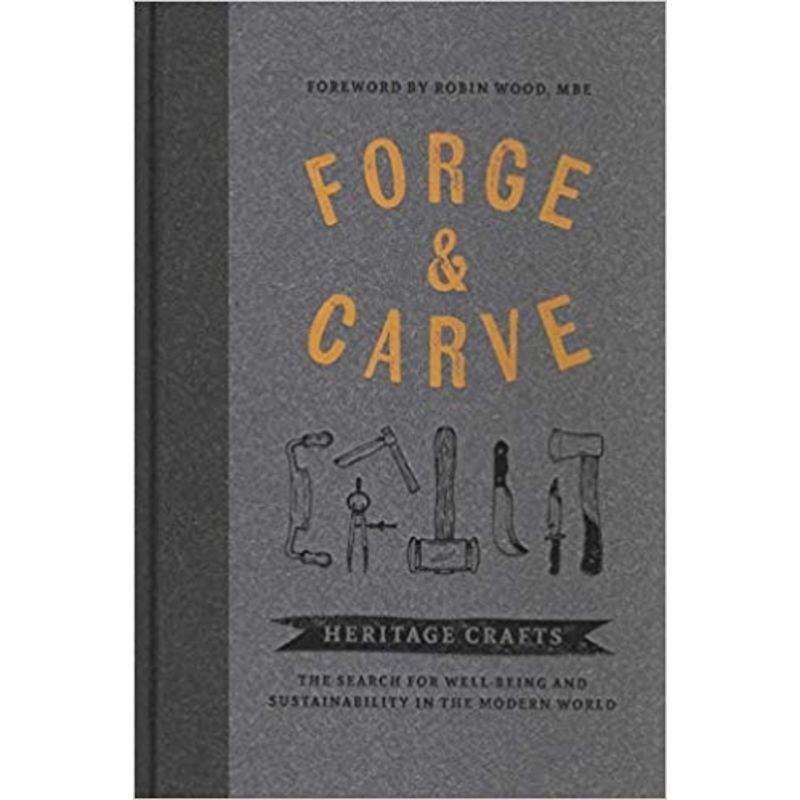 Forge & Carve looks at eighteen crafters and how and why they create the items they do. From basket weaver to blacksmith, meet some of the talented people behind this revival of time-honoured techniques and discover how they make a living from their artistry. Admire their craftsmanship; share their enthusiasm; and learn from their philosophy. Foreword by Robin Wood with contributions from Ben & Lois Orford, Peter Faulkner and May Tove Lindas to name a few. Topics include Leather Work, Bow Making, Coracle Making as well as Wood Working and Wood Turning and Axe and Knife Making.